Is a Toothbrush Subscription Worth it? When was the last time you replaced your toothbrush? Or, in the case of a rechargeable electric brush, how long as it been since swapped the brush head? Unless you’ve been to the dentist recently, it’s probably been a while. The truth is, most people don’t replace their toothbrush nearly as often as they should. The American Dental Association recommends replacing toothbrushes three to four times per year. If you only get a new brush at your bi-annual teeth cleaning, you’ll be using it twice as long as recommended. One possible solution is the subscription toothbrush. You might’ve seen the ads on social media or heard them on popular podcasts. The idea is simple: a company sends you a new disposable toothbrush or brush head in the mail every two, three, or four months so you’ll never forget to replace your toothbrush again. It’s certainly convenient. Signing onto to a toothbrush subscription (and there are many choices on the market) saves you a trip to the pharmacy and gives you one less thing to remember. But as dental practitioners, the most important question is this: does getting a new toothbrush in the mail benefit your oral health? Toothbrush subscription services often claim that brushes should be replaced every three to four months. This fact comes straight from the American Dental Association (ADA), the leading organization of dental professionals in the United States. The Canadian Dental Association (CDA) concurs, recommending that you replace your brush every three months. For most people, the safest and most comfortable choice of toothbrush is one with soft, rounded nylon bristles. Brushing with medium- and hard-bristled brushes can damage tooth enamel and gums. The downside of soft-bristled brushes is that they wear out fast. 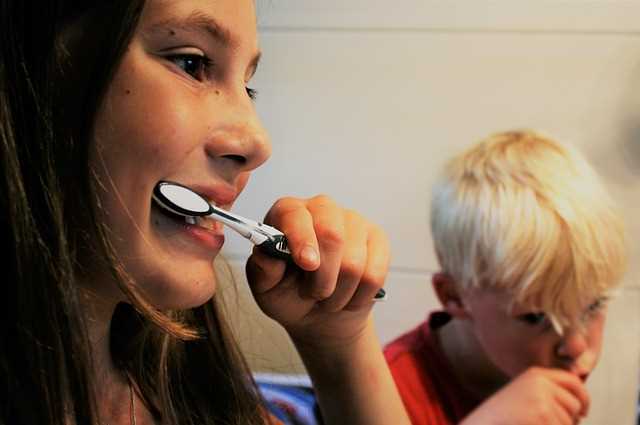 While brushes wear out faster for some people than others (and kids usually wear out brushes sooner than adults), three months is usually the point where it’s time for a replacement. The longer you wait to replace a brush, the less effective it is at cleaning. Using a worn-out brush means you’ll have more difficulty removing food and plaque-forming bacteria, leaving your teeth more susceptible to tartar and gingivitis. For some, even three to four months is too long a wait. The ADA advises to replace your toothbrush every three to four months or when the bristles become frayed – whichever comes first. Is a Toothbrush Subscription Worth It from an Oral Health Perspective? It is undoubtedly beneficial to replace your toothbrush when it gets worn out. Fresh bristles do a better job of cleaning your teeth and gums than frayed bristles. If a mail-order brush will remind you to replace it, then a toothbrush subscription is definitely worthwhile for your oral health. If replacing your toothbrush is the one thing that’s missing from your oral health habits, then a toothbrush subscription could be the fix! However, it won’t do much good if your oral healthcare is lacking. Think a toothbrush subscription is worth it? If so, we recommend checking to see if the brush in question has been approved by the American Dental Association or the Canadian Dental Association. These organizations conduct independent validations of the claims product manufacturers make about the safety and efficacy of dental products. If a toothbrush has the ADA seal of approval, you’ll know that it’s made from safe, durable material, that the bristles won’t harm your teeth and gums, and that using the brush provides a significant decrease in mild gum disease and plaque. Finally, keep in mind that even the highest-quality brush cannot replace a professional teeth cleaning. Contact us to book an appointment for teeth cleaning in Waterloo, Ontario.